This is the time of year that many school leavers are thinking about their future career. I just wanted to share something with those thinking about ‘just’ being a hairdresser. A good friend of mine, who just so happens to be the President of the Fellowship for British Hairdressing and an incredibly successful businessman (and just a hairdresser) had the misfortune of attending a local school’s careers event a few weeks ago, where the Headmaster said, “if you fail your exams there’s always hairdressing for the girls and boys could become a chef”. Truthfully, I thought this sort of attitude had disappeared a while ago. This got me thinking about being “just a hairdresser” as I have finally sat down and caught my breath after a few incredibly busy weeks. I’ve travelled to Manchester for the day with celebrity hairdresser Lee Stafford (just a hairdresser) to Pro Hair Live. I was given an hour slot on the Business Stage to interview Lee. He has a great story and we had an audience in the hundreds crowded around us (all just hairdressers). The following day I went to Salon Live at the Excel centre in London’s Docklands. I had a Men’s show in the afternoon and for the rest of the day I was on the Fellowship stage as the official compere. This involved being on stage with a microphone in hand and opening the show in the morning, announcing each team as they go on stage, thanking them when they finish and in some cases staying on stage to ask questions and ensure the smooth-running of the less –experienced teams. We opened the show with a team led by Beverley C MBE (just a hairdresser), and the whole day flew by. 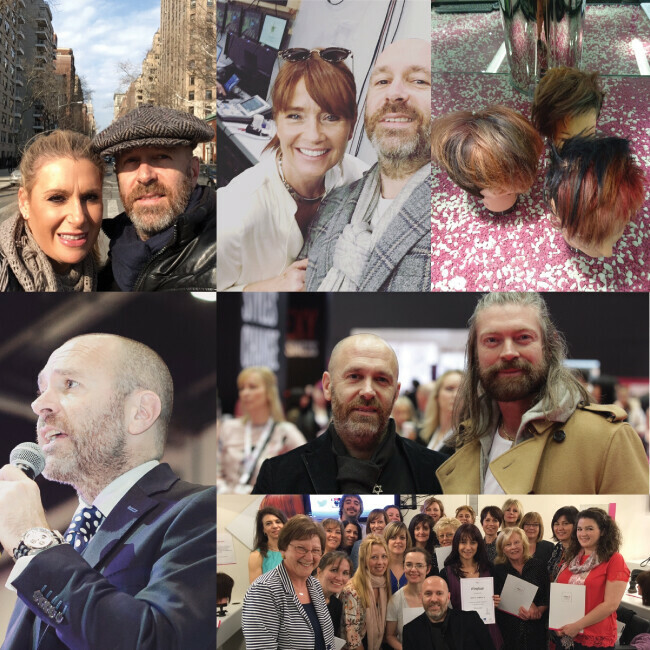 I’ve spent the day with the Fellowship for British Hairdressing Project X Team delivering my Presentation Skills class, I’ve compered another Fellowship event and last week we delivered a 1 day ‘Bootcamp’ to 20 amazing Freelance hairdressers. Somewhere in the middle of it all I went to New York with my wife for a few incredible days. Oh and I even had time for a few very patient clients. I’m Edward, I’m just a hairdresser.